Have you watched the audition program 'Kpop Star 3'? To be famous Kpop star, many would-be singers try out for it. But, as you know, it is not easy to pass the intense competition by capturing the judges' hearts. 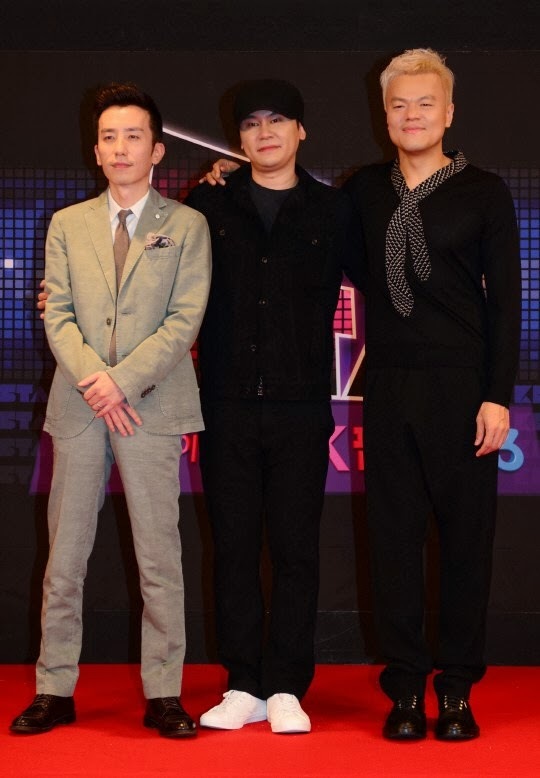 Three musicians, Yang Hyun Suk of YG Entertainment, Park Jin Young of JYP Entertainment and Yoo Hee Yeol of Antenna Music, are the judges of 'Kpop Star 3', and they attracted the attention of the public with their impressive commentaries. Through their commentaries, let's see what is required to be a Kpop star. Brody is a 9-year-old girl from LA. Undoubtedly, she is cute, but is deficient in singing and dancing in comparison with her competitors. However, she succeeded in captivating the judges, and was accepted by 'Kpop Star 3'. Yang Hyun Suk said "I'm usually attracted by contestants' singing and dancing ability, but sometimes, I'm drawn by their charms," while Park Jin Young stated, "Singers can be divided into two classes. Those are 'artist' and 'star'. Brody will be a star." Brody's young age was a big plus, but her indescribable charm had a decisive effect on her getting through audition. Yeah, you need to be attractive in your own unique way to be a Kpop star. All the kpop stars have their own power to raise fans' pulse rate. Female vocal trio Jjari Mong Ddang caught eyes of people by showing off their outstanding singing ability. Especially, their joint performance with Peter Han was amazing. After they performed Park Jin Young's hit 'Don't Leave Me', Park Jin Young said "Couldn't be better!" And added, "Jjari Mong Ddang sings with a sure ear for pitch despite all the complex harmonies. I can figure out how much work they put into what they did." The Jjari Mong Ddang members, who are attending high school, studied harmony and have been improving their basic skills constantly. Constant efforts and solid basic skills are the keys to be a Kpop star. Mixed duo Almeng received a lot of attetion from people with its outstanding performing ability. However, they faced a serious crisis at a battle audition stage because of the pain in female member Choi Rin's throat. As she sings 2NE1's 'Ugly', she had difficulty in singing high-pitched tones. Actually, the performance was below expectations. However, it was well received by the judges. Yang Hyun Suk said "I was amazed to see the lyrics. I was drawn to your sincerity," and Yoo Hee Yeol stated, "It was so beatutiful. It was the best performance you've ever shown." And Park Jin Young added, "It touched my heart. Choi Rin never backed down from a challenge even though she was at her worst. At the end of the song, she finally succeeded in making loud sound." As you can see in the case of Almeng, you need to impress the judges by singing with all sincerity.